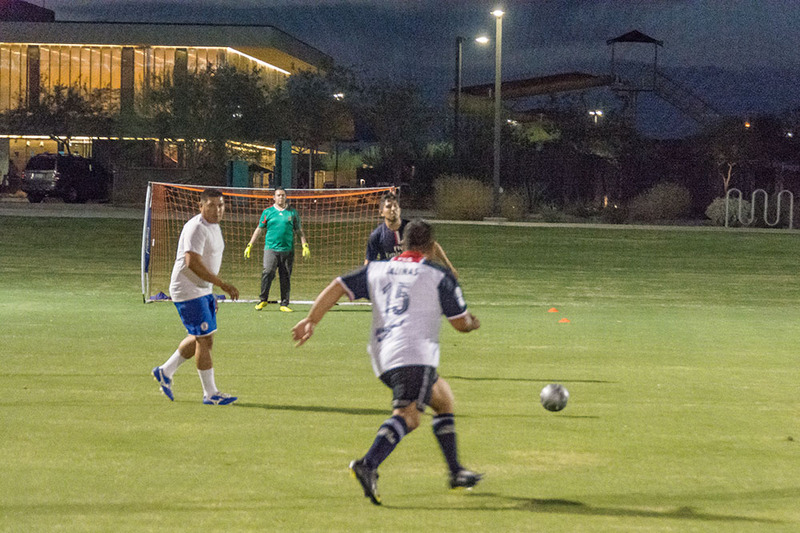 For Maricopa athletes looking for an interesting side-sport, the soccer fields at Copper Sky Regional Park may just be home to their next big hobby – small-goal soccer. 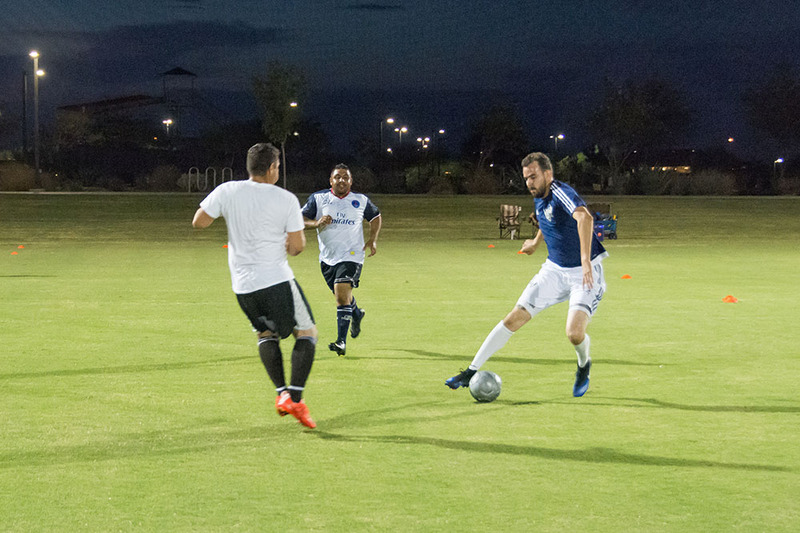 For the past four years a branch of this unique sport has been thriving in Maricopa. 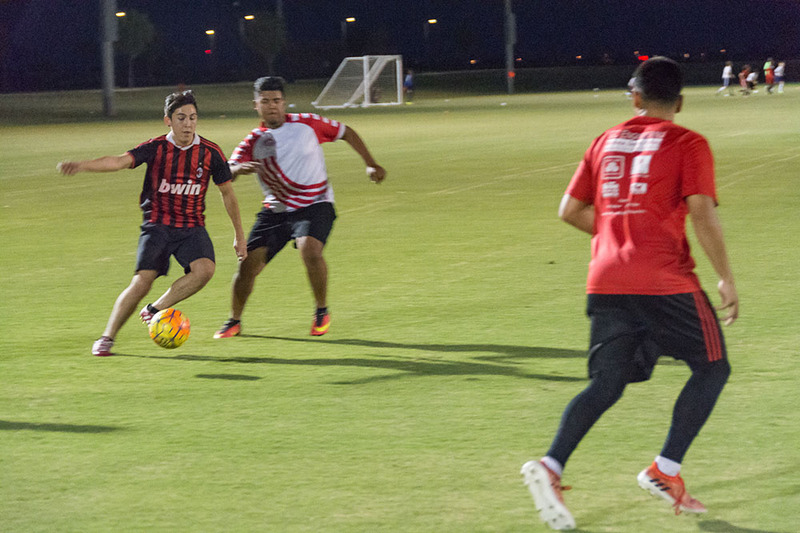 According to league coordinator Lidia Araballo, each year the Maricopa league is seeing a solid turnout, with rosters filling up fast between seasons. 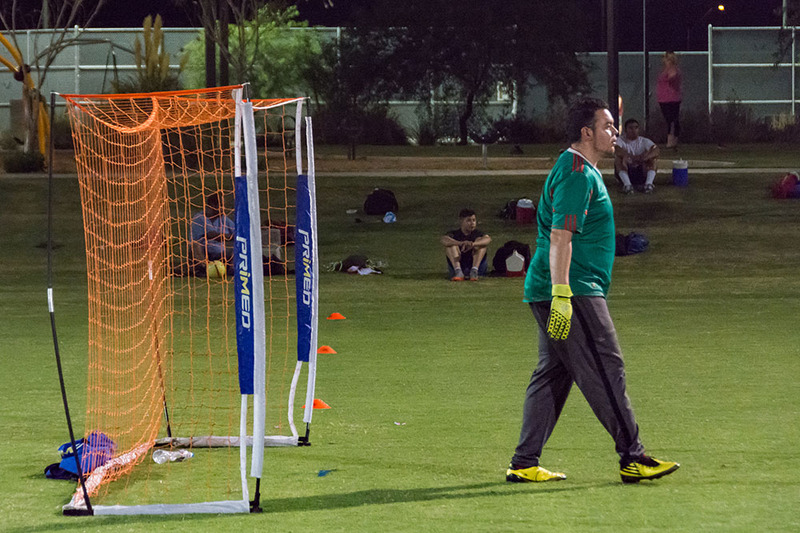 The goals, at roughly three feet deep, five feet tall and 10 feet wide, are nearly half the size of a standard adult goal. The fields, only 150-feet-by-100-feet, are also roughly half the size of a regulation sized field. 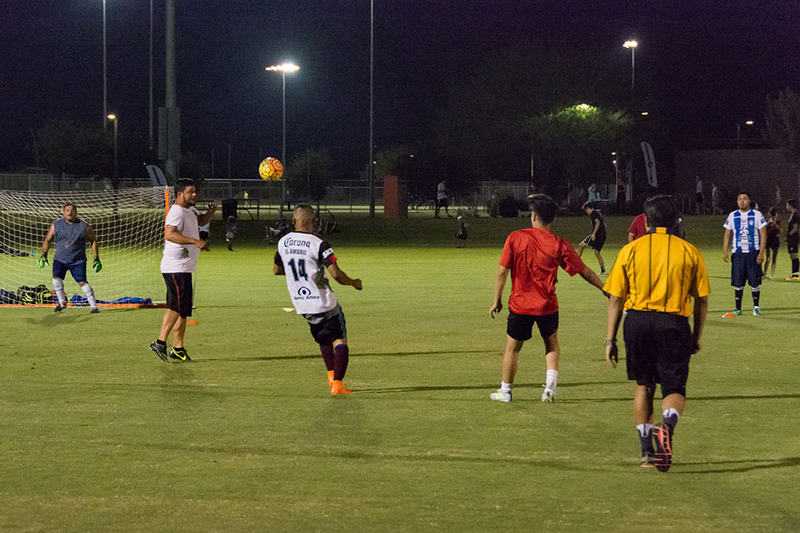 Officiated by licensed referees, the matches are shorter at 50 minutes, and the teams are smaller, with six players for each team on the field at a time – five fielders and one goalie. 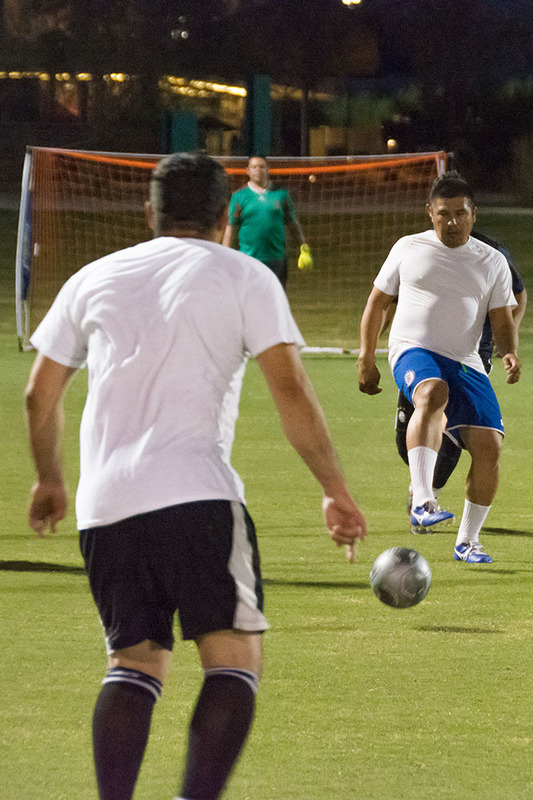 The current league is an adult, men’s-only division, meaning men 16 and older are the only eligible participants. 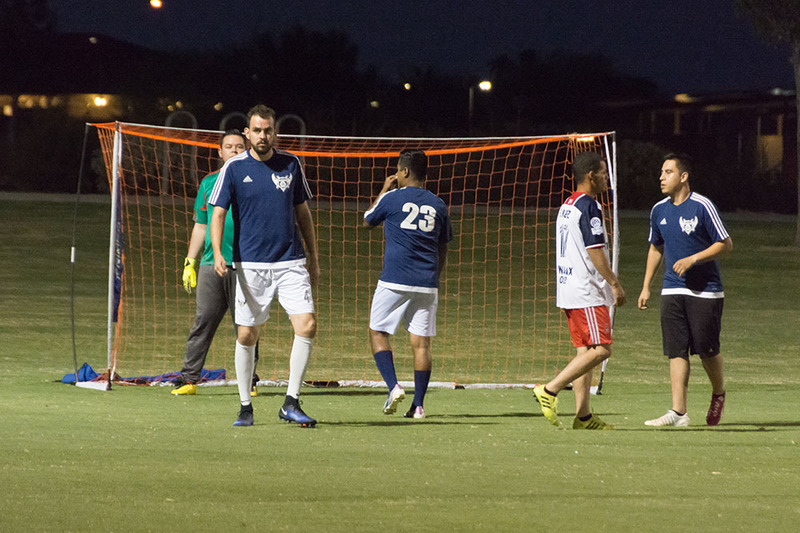 Araballo hopes to eventually expand the Maricopa league and add a women’s division, and possibly even a youth division to accommodate all interested players. 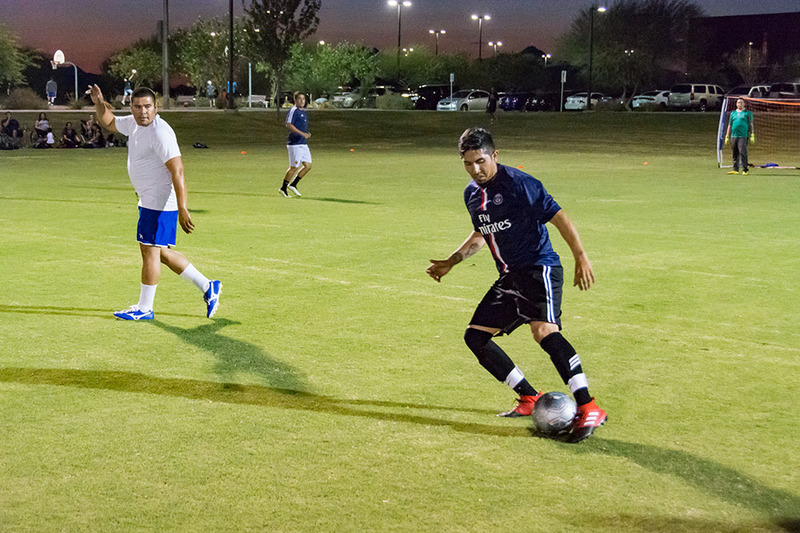 The Maricopa league experimented with a co-ed division in the past, Araballo added. Few men continued participating, something she attributed to the male players’ concerns for injuring female players. 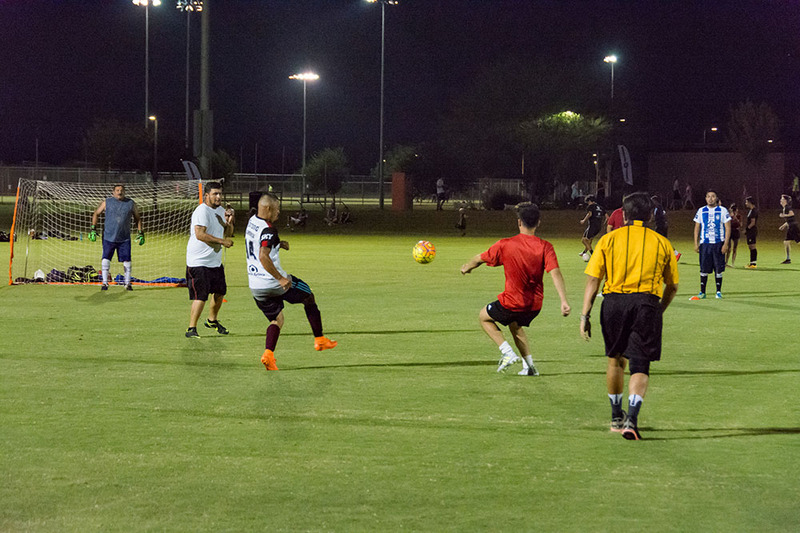 The number of women involved in the co-ed division fell short of the numbers needed to create a separate women’s league. Nonetheless, Araballo is undeterred in her efforts to keep the sport going. She said the fan base is starting to grow and the players enjoy competing. 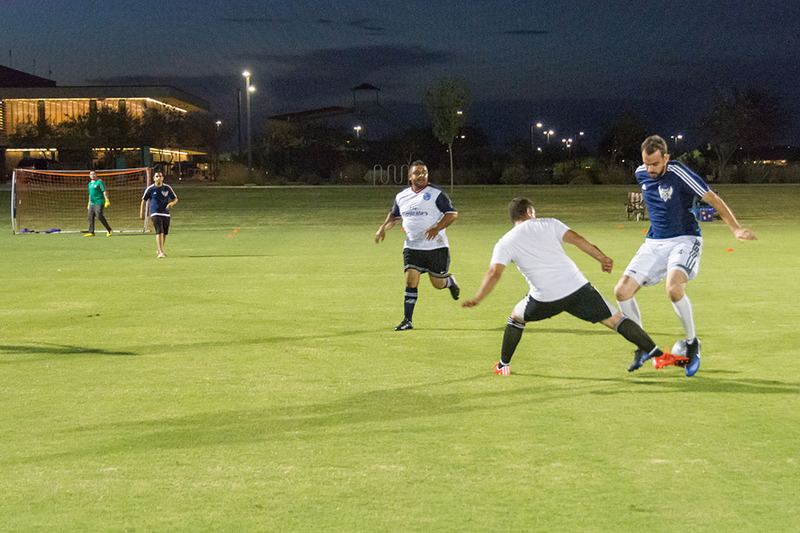 At only $48 per person, $380 per team, players are guaranteed eight matches with the best four teams getting an additional semifinal match and the winners of those two matches going on to the championship. 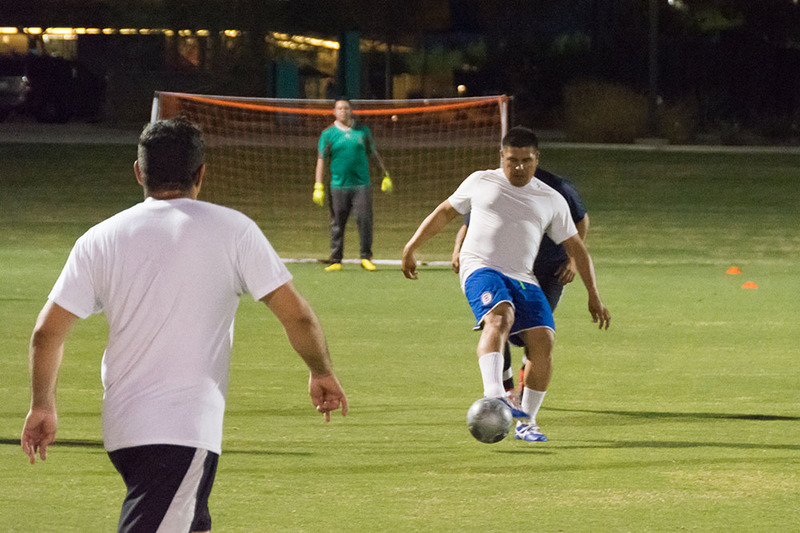 Teams are recommended to have eight to 10 players minimum, and 12 players maximum. 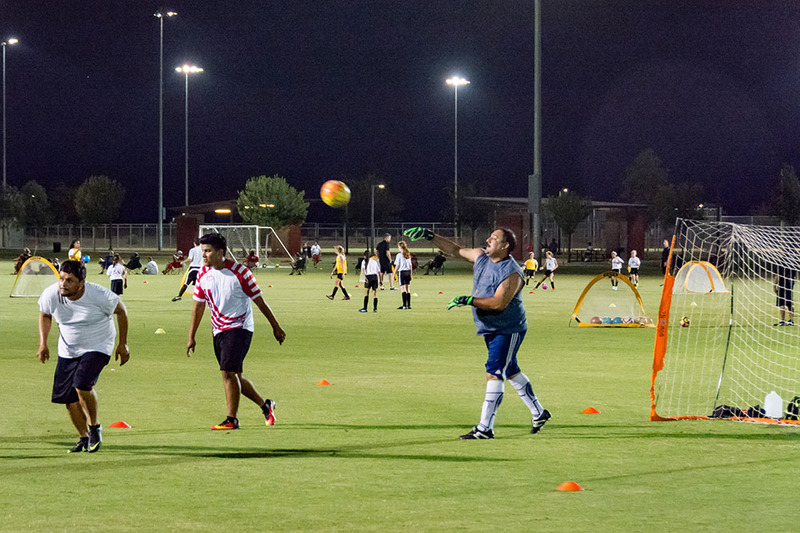 Games are Thursday nights from 6-10 p.m., however more recently games have been happening after 8 p.m. due to heat. A new season is set to start in the fall, Araballo said. 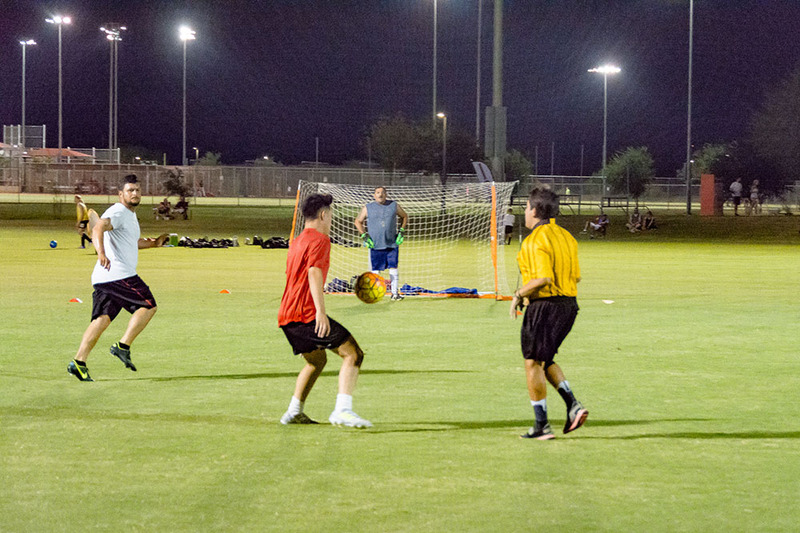 Anyone interested in signing up can find information at smallgoalsoccer.com, or send an email to lidia@smallgoalsoccer.com.